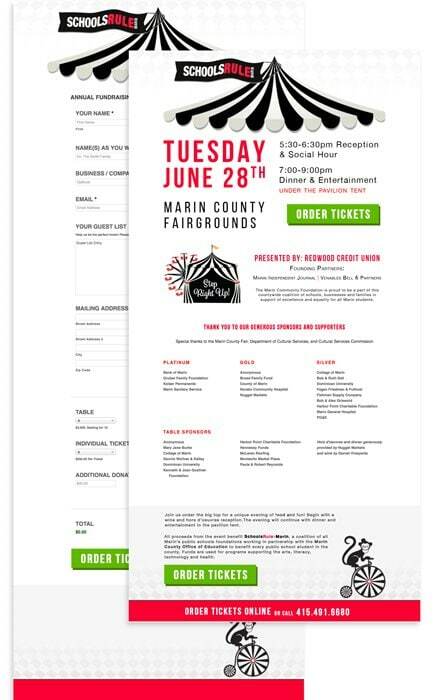 For this landing page we worked with SchoolsRule-Marin to promote the event and establish a payment strategy for online ticket sells. 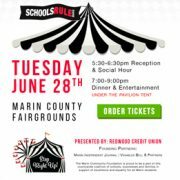 This is their biggest fundraising event of the year to raise money in support of all students at every school in Marin. The funds they raise fill the financial gap between available funding and actual costs and as a result, Marin County students shine. For this project design cues are pulled from the print campaign and then mixed in with our own design spices. To be able to host the page on the school district server this year and in years to come, a custom WordPress page layout is also created. Treating it as a landing page, this page is unique from the rest of the site. 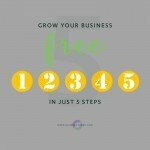 Social media promotions, which we also design, point to this page instead of the default home page. The final page houses a web form tied to PayPal for easy online orders. The form is designed to accept multiple quantities and also, multiple items.The tally shows on the page for the entire order updates on the page as they change settings. For the final payment, PayPal is launched. Marin residents can show their support year round by donating at SchoolsRule-Marin.